Here in Erie Pa, it’s very common to get large amounts of snowfall and extremely cold weather during the winter season. So far though this winter the weather has not been too bad. That was until last Wednesday and Thursday when the “Polar Vortex” swept through the country. For two days straight Erie was hit with sub-zero temperatures and a windchill that went as low as -20 degrees. Many schools and even some businesses decided to close for those two days because they believed the weather was too severe to leave the house. Cathedral Prep is known for not canceling school no matter what the weather conditions are. In this case, though, since there was so many places closing, the school decided to leave it up to the parents’ discretion on whether to send their kids to school or not. Many students ended up deciding to play it safe and stay home. 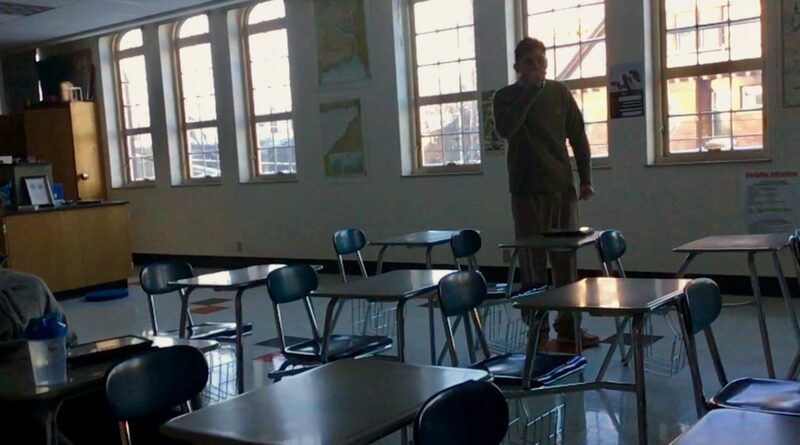 On Wednesday there was a total of 284 students that did not come to school. The next day was not quite as bad, but there was still 233 missing kids. Sophomore Michael Pelletier was one of the students who toughed it out and made it to school. He said, “Although I didn’t want to go to school, my parents decided they thought it was safe enough for me to attend.” Michael mentioned that those two days were very boring since there weren’t many other kids and none of his friends were there.